The Thames Valley Ancient Egypt Society (TVAES) was established in 1994 to promote the study and public dissemination of culture, religion, art, language, life and death in ancient Egypt. The society holds public lectures, study days and evening classes in Berkshire and organizes study tours to Egypt and Sudan and other areas of Egyptological interest. Membership is open to anyone interested in ancient Egypt and visitors can attend most events. As an open and welcoming society our meetings, provide an opportunity for you to share your interest in ancient Egypt, with like-minded people, as well as the chance to learn a little (or even a lot) more about this fascinating subject. Today the society thrives with over 150 members from from Berks, Bucks Oxon, Surrey, Hants, Wilts, London and beyond. Visits to museums, places of interest, other courses and societies are included in the programme. 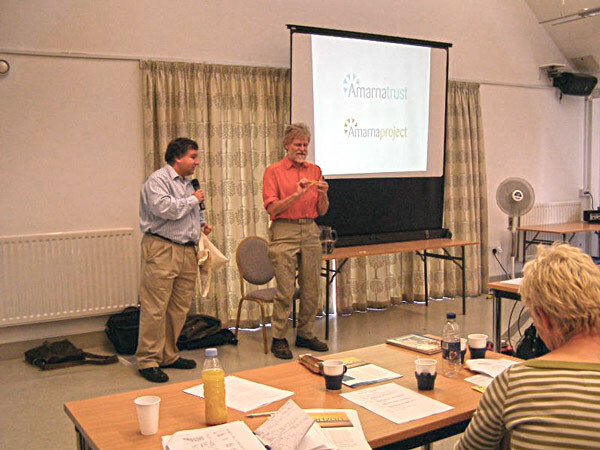 Previous events include our popular Armana Study day with Professor Barry Kemp show below.